(Newser) – Sure, Chris Christie's pugnacity has served him well on the statewide stage—but will it continue to work on the national one? He'd better not assume anything: Winning "fosters hubris and often reinforces the wrong lessons," writes Matt Lewis in the Week. 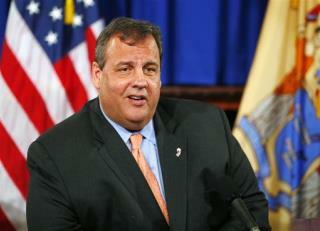 "So far, Christie's confrontational style has mostly come across as refreshing." But "what happens when MSNBC plays video of him yelling at someone for the millionth time, and after George Will or Charles Krauthammer writes the column about the danger of an angry man having his finger on the button?" Next on Newser: What Do You See In Google's New Doodle? Maybe Rob Ford can give Christie a few pointers. Chris Christie is an establishment darling, just like Bush, Obama, and the Clintons. I wouldn't be surprised at all if he's the next president. Watch Goldman Sachs, they only throw their money behind the next pre-chosen president. Right now they're paying Hilary 500k per speaking appearance, so I'd say she's the front runner.